Cathy Tomm Quilts: What have I worked on? 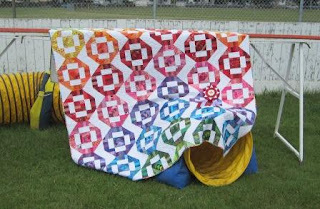 I love your Bounce Ball quilt! That would make such a great Rainbow Scrap Challenge project. Your sample block in the multi-colored fabric scraps is really lovely too!